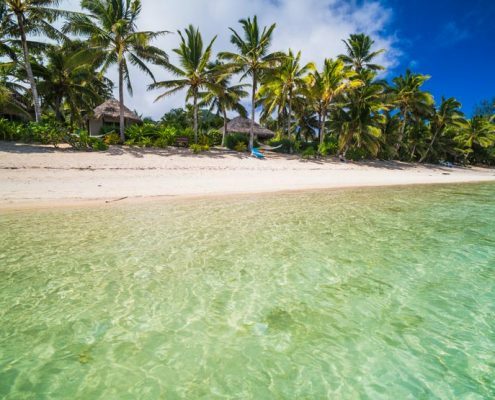 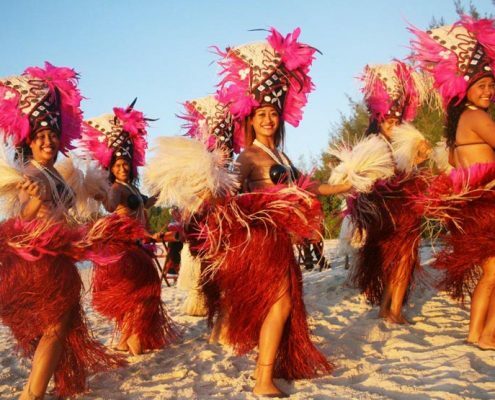 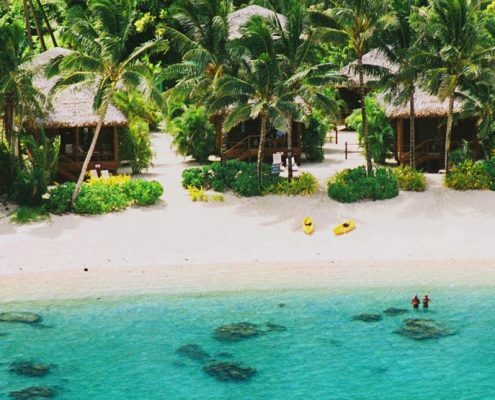 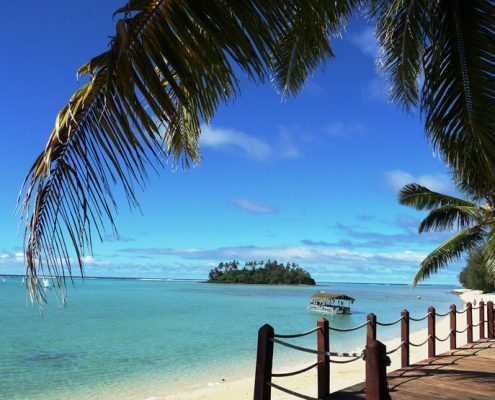 We know the Cook Islands inside out and offer expert advice on all the accommodation options to cater for all tastes, interests and budgets from motels, island bungalows or sea-side resorts. 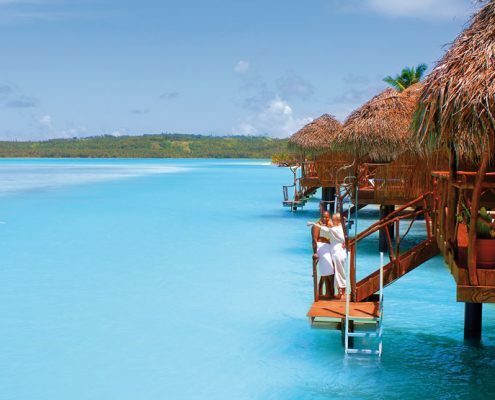 We stand by our conviction that you learn more from someone who has actually been to a resort – slept in its linen, dined on its cuisine and can vouch for its quality – than in two hours of trawling the heavily saturated internet trying to extract the truth from the white noise. 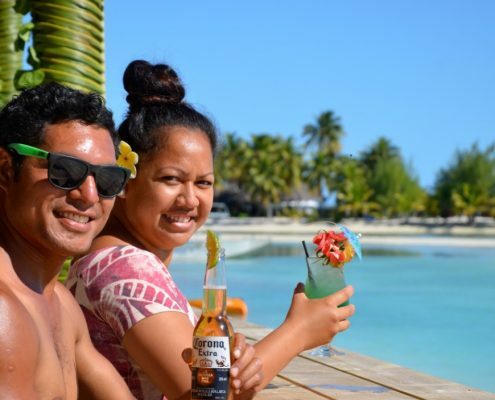 With over 15 islands and a plethora of resort accommodation choices we’ll help you choose the perfect Cook Islands accommodation for your next South Pacific escape. 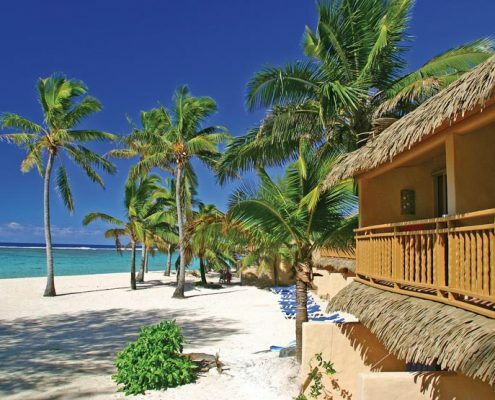 View our selection of family, couples and luxury resort choices. 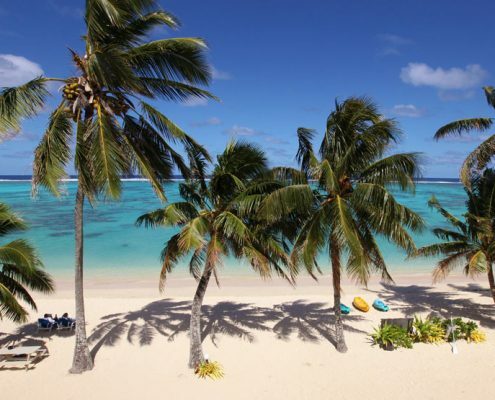 If you need help deciding we’re here to assist you plan your perfect island escape. 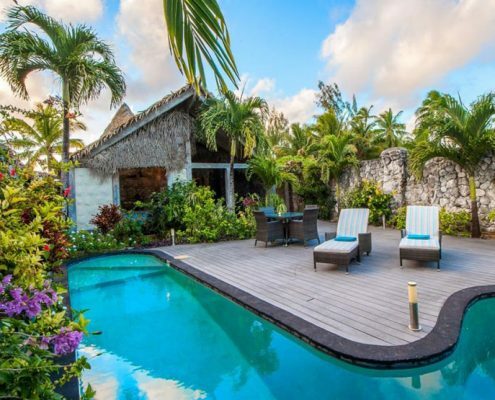 Contact us on 1800-622-523 or email us. 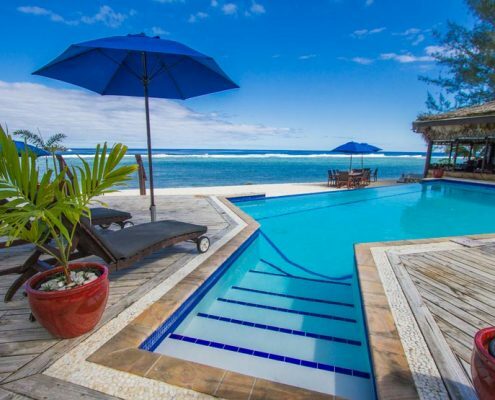 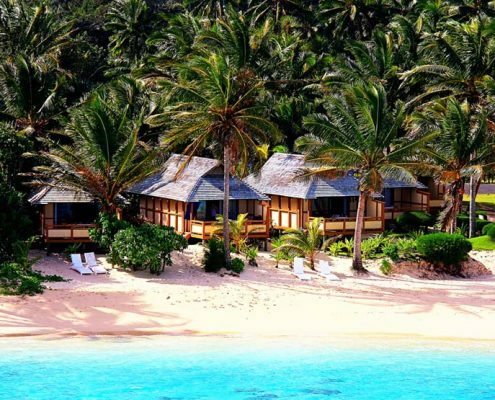 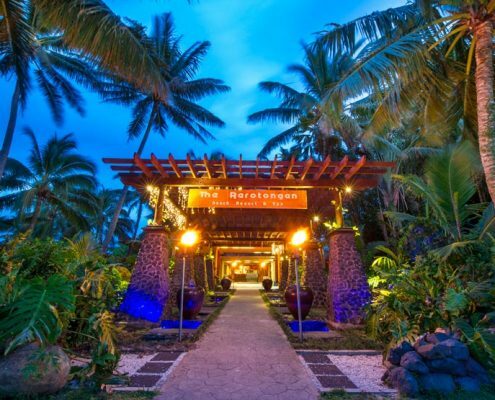 Manuia Beach Resort offers guests a tranquil and romantic getaway. 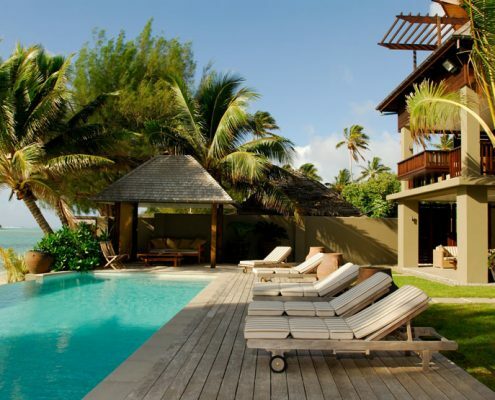 This boutique hotel provides a tranquil atmosphere where you can relax and unwind. 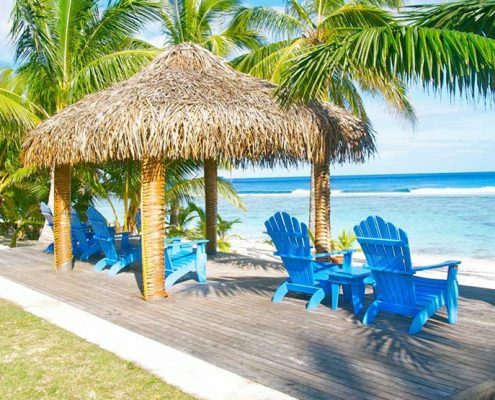 Rarotonga's new adults-only, absolute beachfront resort with a distinctive South Pacific ambience. 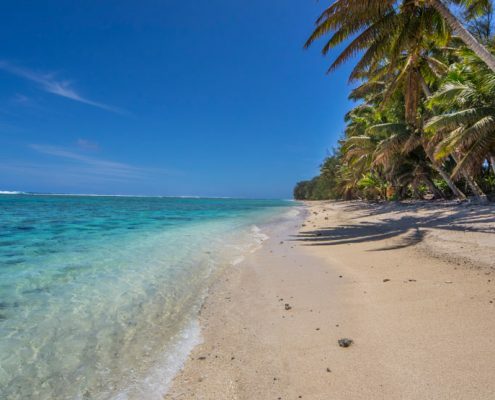 Rarotonga's best white sand beach on the island's sunshine coast. 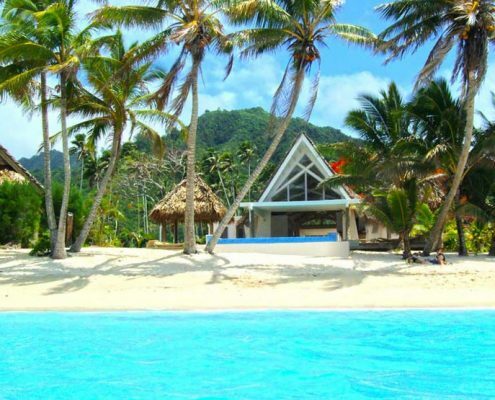 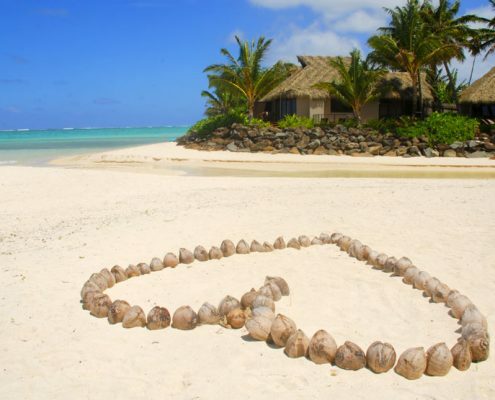 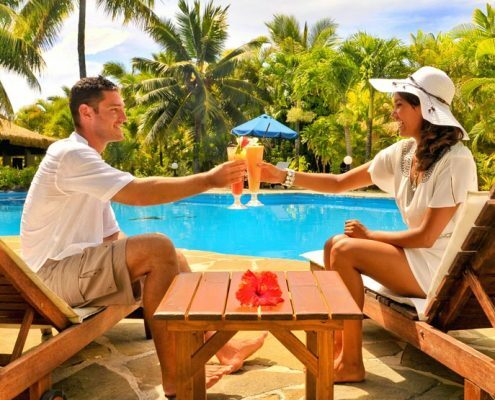 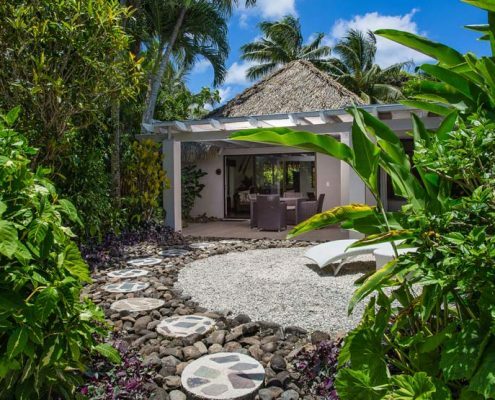 Palm Grove enjoys the peace and tranquility of one of the best locations on Rarotonga. 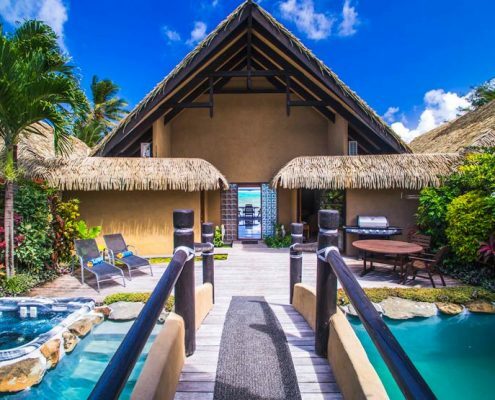 This resort captures the flavour and décor reminiscent of the old South Seas of yesteryear.